Mike Glaser, who has played a pivotal role in Efecem Kutuk's teaching career, invited Efecem to the senior year final review of Product Design. This is the program's first graduating class. The students have a sentimental value for Efecem, since they were some of his first product design students. Sustainable Materials and Processes class worked in teams of two to experiment with Bioplastics. Their assignment was to identify the appropiate ingredients and ratio that would produce a range of stiff, flexible, matte, textured, and glossy results, and then present and demonstrate to the class. Ingredients included: gelatin, gylicerin, corn starch, vinegar,milk and potato starch. Some students employed their learnings to cast the final models of the Design Studio projects using bioplastics. 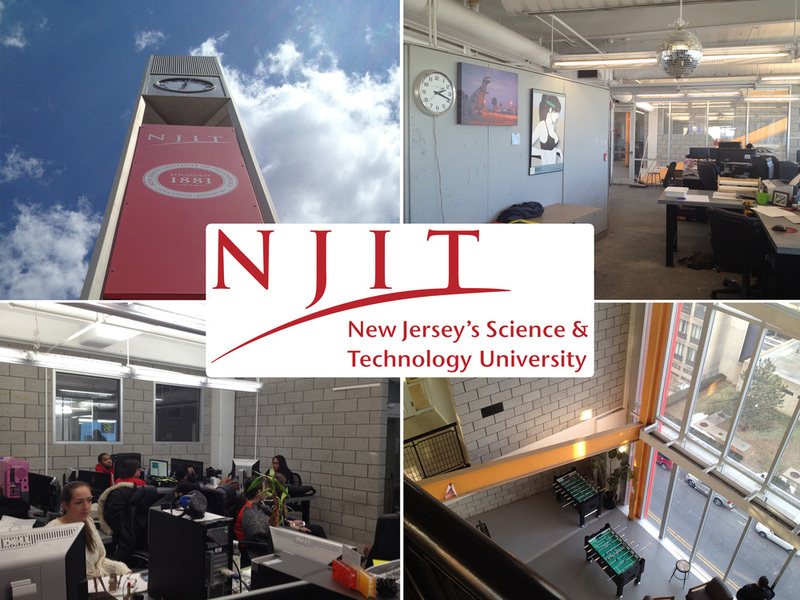 Spring'14 will be a busy teaching schedule; NJIT Shool of Art and Design assigned 3 courses to Efecem Kutuk. ID264 Industrial Design Studio II for Sophomores, ID341 Sustainable Materials & Proceses for Juniors and ID301 Industrial Design Specialization for Juniors as well. 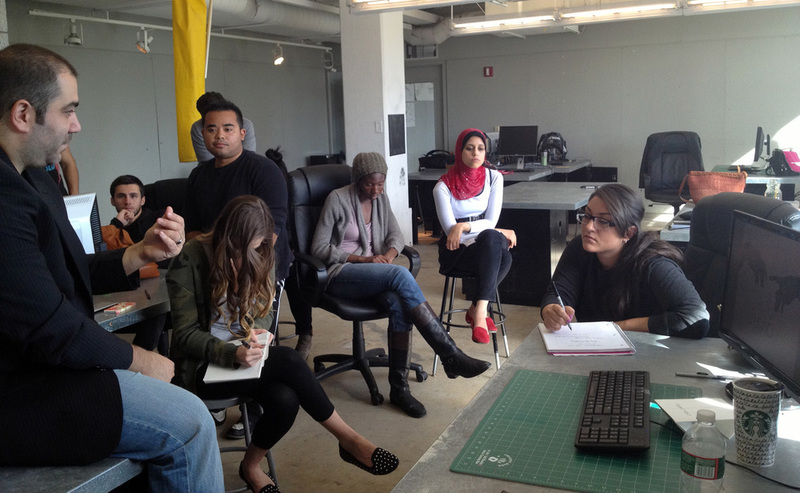 Due to high enrollment in ID Studio II, the class will be split into two sections. Julian Boxenbaum of BuzStudios and founder of LucidNYC will lead the other section. 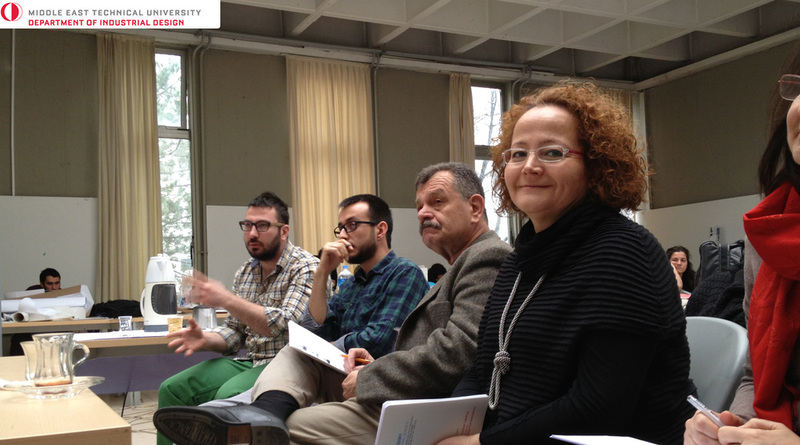 On 01/08/14 & 01/09/14, Efecem Kutuk attended the Junior Year Industrial Design Studio final jury review at the Middle East Technical University, Faculty of Architecture, Department of Industrial Design - Ankara / Turkey. Students were asked to design a family of outdoor lighting fixtures (Pole Top, Bollard, Wall Mounted) for Heper Moonlight Outdoor Lighting. All projects were graded along with the feedback. Requirements were; Presentation Boards, Technical Drawing Boards, Scaled Models, 1:1 Bollard Fixture Working Model. Unfortunately no pictures of the student work are available due to a confidentiality agreement. 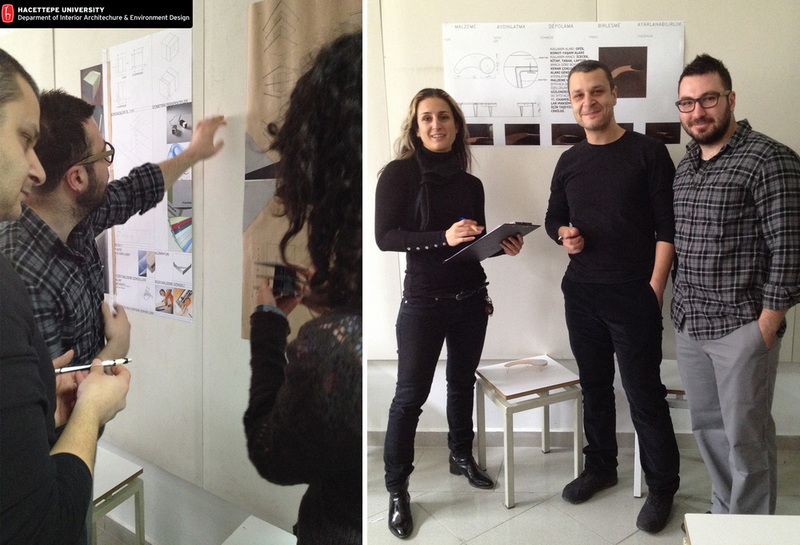 Artist / Designer duo Dan Golden & Jen Huh attended to midterm review of Collaborative Design Studio. Projects were in the phase of product development and every team got their feedback after the presentation of Dan & Jen's work. 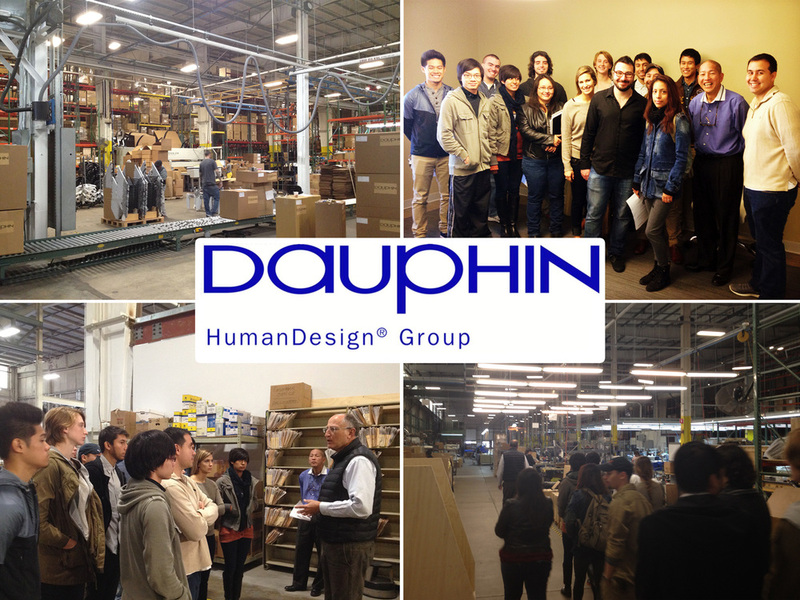 A field trip organized for the "Materials and Processes" class to Dauphin Furniture in Boonton, NJ. The goal of the visit was to understand the early steps of an end product before going to market; from the initial concept, development, refinement, feasibilty, and manufacturability to sustainability. First a very thorough presentation held by president Gary Chin, followed by a factory tour where students observed in-house production capabilities and apprehended the applications that were taught during the semester. Motion graphics guru Cagan Yuksel, owner of Grafx, visited the Collaborative Design Studio and gave a lecture on brand identity. Later, each team received feedback on their projects' visual appearance, followed by a q&a session about the digital design / graphics industry. Starting from September 2nd 2013, Efecem Kutuk will be teaching two classes at New Jersey Institute of Technology in Newark, NJ. "Collaborative Design Studio" for Seniors in the School of Art & Design will be a collaboration project of different programs; Digital Design, Interior Design and Industrial Design. Every team will have one student from each and the class will focus on creating a full package start up company that consists of brand identity, product(s) and exhibition space of the product(s). The other lecture / discussion course, "Materials and Processes", will be taught to Junior students in the Industrial Design program. New lighting collection Northstar will be exhibited at Wanted Design 2013 show in The Terminal building during ICFF, May 17 - 20. Efecem Kutuk is teaching "Senior Graduation Thesis II" for Seniors in the Industrial Design department at Montclair State University in Montclair, NJ. A project book and prototype of the final product will be submitted. Projects are going to be proposals of a solution to an existing user interface issue researched and found by students. After execution of the prototypes for the final project, there will be a graduation exhibition at the main hall starting May 17, 2013. DREXEL PRODUCT DESIGN STUDENTS AT KNOLL MUSEUM! An amazing day at Knoll Museum and Manufacturing Plant in East Greensville, PA with Drexel University Product Design students. Thanks Knoll for your hospitality and very imformative presentation/tour. DREXEL @ MODELCITIZENSNYC 2011 SHOW! 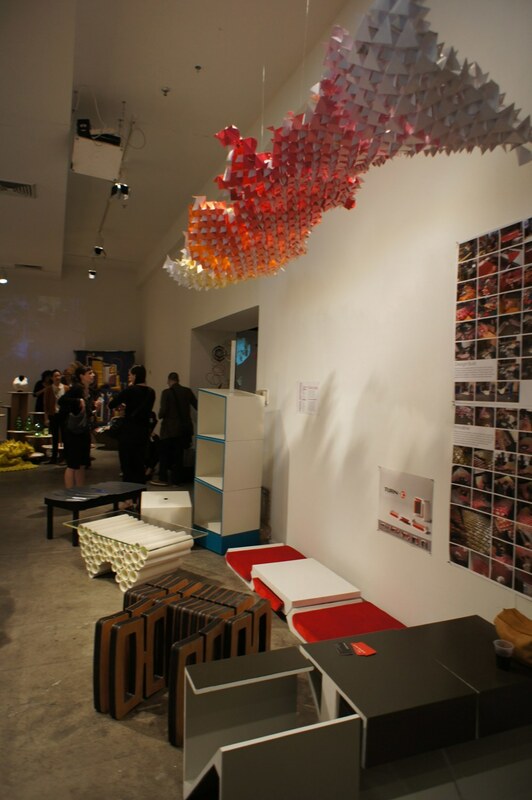 A selection of Drexel University Interior Design Department 'Introduction to Furniture Design' class students final projects has been exhibited in Chelsea Art Museum as a part of very well curated ModelCitizens NYC 2011 exhibition during ICFF. STUDENT WORKS WILL BE EXHIBITED IN MODEL CITIZENS NYC! 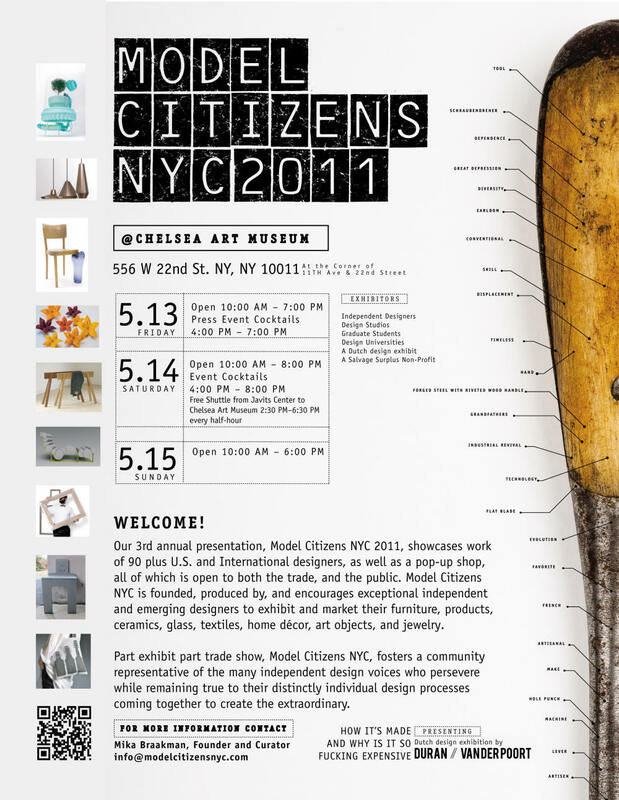 Selected projects of "Introduction to Furniture Design" will be exhibited in Model Citizens NYC 2011 Show during ICFF at Chelsea Arts Museum. It is going to be a very important and exciting experience for them, if you could stop by we all really appreciate it. TEACHING FURNITURE DESIGN AT DREXEL! Efecem Kutuk has started to teach "Introduction to Furniture Design I & II" for Senior students of Architecture and Interiors Department at Drexel University in Philadelphia. The Syllabus includes in-class assignments and a final project. After execution of the prototypes for the final project, there will be an exhibition. Stay tuned for the venue and date. Efecem Kutuk has been honored to attend the Interior Design Studio III (third year) final Jury of Interior Architecture and Environmental Design department in Bilkent University as an official jury member. Subject of the project was designing a dental clinic considering some requirements and given plan. 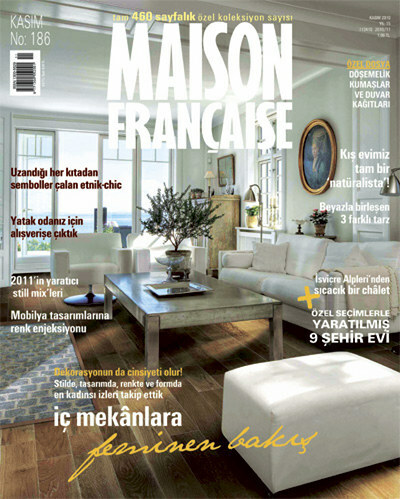 A full page interview has been published on November issue of Maison Francaise Turkey. Article consists of 10 questions, which investigates my perception of life and my approach to desin in general. Also it is enriched by images of my products and a portrait picture of myself. DESIGNS AWARDED TO EXHIBIT IN NYIGF! Efecem Kutuk’s work has been selected to be exhibited in A+, The Young Designers Platform at NYIGF (New York International Gift Fair) on August 14 – 19, 2010 in New York City at the Jacob Javits Convention Center. Please mark your calendars and stop-by. Three New Products @ Model Citizens NYC 2010! Stop by to see my latest designs: Rotten Rack, Tie Fighter Armchair and Disco Pendant Light for Model Citizens NYC 2010 exhibition at Hosfelt Gallery. For further details, please visit modelcitizensnyc.com or email me. SHEETSEAT™ IS IN ICFF STUDIO! ICFF Studio (International Contemporary Furniture Fair) accepts SheetSeat™ as one of the finalists. Visit us at ICFF Studio booth on May 15 - 18 2010, at Jacob, K Javits Convention Center, NYC. Sheetseat™ has been featured at DWR's M+D+F 2009, IDSANYC's Equilateral 09:02 Exhibitions during New York Design Week and BOFFO Objective Affection Exhibition.